Emerging from discussions between Human Rights & Equity Services (HRES), DalOUT and South House Sexual and Gender Resource Centre, the LGBTQ2SIA+ Collaborative (Collaborative+) is a forum for communication between, and collaboration among, campus stakeholder groups engaged in efforts to foster a climate of respect and inclusion for LGBTQ2SIA+ students, staff and faculty. Through sharing of information, resources, and strategic educational programs and initiatives, this Collaborative+ aims to increase awareness of support services for LGBTQ2SIA+ students, faculty and staff, and strengthen educational programming for all campus community members. The Collaborative+ is a place for campus community members involved in LGBTQ2SIA+ related work to create communities of support and to build personal and organizational capacity to influence LGBTQ2SIA+ positive shifts in the campus climate. The Collaborative+ is your one stop spot for the people and groups doing work with, and for, LGBTQ2SIA+ communities at Dalhousie! Have a look through the different organizations that make up this group and see which of them suit your needs and interests. The Centre for Learning and Teaching (CLT) works in partnership with academic units, faculty members, and graduate students to enhance the practice and scholarship of learning and teaching at Dalhousie University. We seek to encourage and facilitate diversity in both teaching methods and inclusivity in student learning. Throughout the year, CLT offers a range of workshops, and are always open to putting forth programming that is of interest to the Dalhousie Community. As of right now, programming of CLT that supports and reflects the LGBTQ2SIA+ community has been requested specifically by students and faculty within the community, or of interest to the staff, in collaboration with other LGBTQ2SIA+ groups on campus. We are working towards a future for the Centre that incorporates even more opportunities for LGBTQ2SIA+ students, staff and faculty, as well as the greater Dalhousie community, to share knowledge, understand experiences, and create an inclusive environment, in and outside of the classroom. 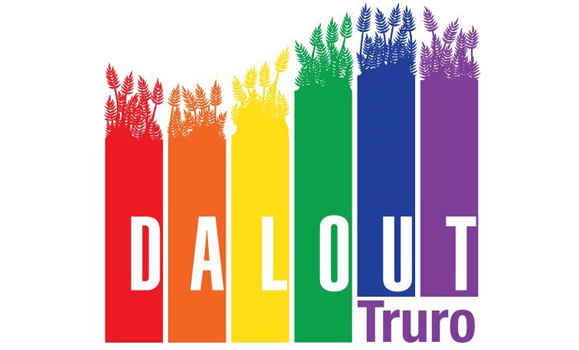 DalOUTT is a social club on the Dalhousie Agricultural Campus for students of all sexual orientations and gender identities. DalOUT is Dalhousie’s LGBTQ2SIA+ student society within the Dalhousie Student Union, run for and by student of queer and trans communities. They provide education, advocacy, social programming, monetary support and peer support initiatives to queer and trans students on campus. For updates, like our page on Facebook. Get REAL strives to utilize the power of personal stories to provide youth and adults with a powerful and resonating education on the impact of language surrounding LGBTQ+ discrimination and understanding that everyone has a voice to be heard and a story to tell. Get REAL is driven by the values of kindness, positivity, honesty and acceptance and aims to portray and instill those in all its endeavors. We like to think of ourselves as a big quirky family, and we are open to anyone and everyone who embodies what we stand for. Email us to get involved! Human Rights & Equity Services is a key contributor in Dalhousie's mission to create a more inclusive learning and working environment. We strive to foster and support a community that is diverse, respectful, and equitable for all students, faculty, and staff. - We provide confidential service to members of the Dalhousie community seeking advice, support, and conflict resolution related to harassment or discrimination. An Advisor is available for in-person meetings on the Agricultural Campus. Please email or call the main office to book an appointment. OUTLaw is a network of LGBTIQQ2SA* students and allies that are anti-oppressive, anti-racist, trans-inclusive, feminist, social justice-oriented queer organization. We aim to create a safe space for productive discussion that respects and values the experiences of members. OUTLaw strives to advance the rights of LGBTIQQ2SA* people. OUTLaw fulfills this mandate by working with students, societies, and broader community organizations to raise awareness about sexual rights with a focus on systemic inequalities and their impact on LGBTIQQ2SA* communities- particularly those who are most marginalized. OUTLaw is a safer space for students of all sexual orientations, gender identities, and relationship structures. Mission: To ensure LGBTQI+ faculty have a safe and welcoming learning and work environment within which to flourish and support one another. Vision: To have an inclusive campus for all. Mandate: to provide a safe and welcoming venue for LGBTQI+ faculty (and staff) to have a voice on campus. Also, to promote equity and inclusion for LGBTQI+ faculty. To connect with the Queer Faculty Caucus contact either jgahagan@dal.ca or catrina.brown@dal.ca. 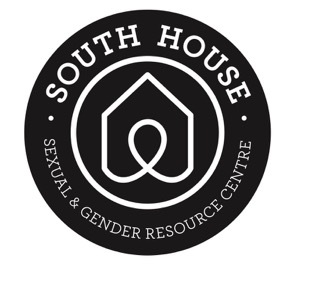 South House (SoHo) is Halifax’s only full time gender justice centre. The South House is a volunteer driven, student funded, physically accessible, gender inclusive safe space for ALL members of our community. The South House is a trans-and queer-positive space and are proud to offer a wheelchair accessible space. They offer a resource centre, library, and free meeting space for woman-positive and anti-oppression organizing and gathering. If you’d like to become a volunteer, contact the Administrative and Volunteer Coordinator at volunteer@southhousehalifax.ca. South House is located around the side entrance, accessible by ramp, underneath the Dalhousie Faculty Association.